Today I want to show you guys my recent beauty purchase and gifts that I got with my purchase as a Sephora VIB. Let me start from this Burberry Kisses Sheer that I bought in beautiful pink shade. After I finished my Chanel Rouge Coco Shine, I wanted to buy something similar __ lightweight, sheer and moisturizing. I'm planning to do my Chanel and Burberry lipstiks comparison in one of the upcoming posts, so stay tuned. 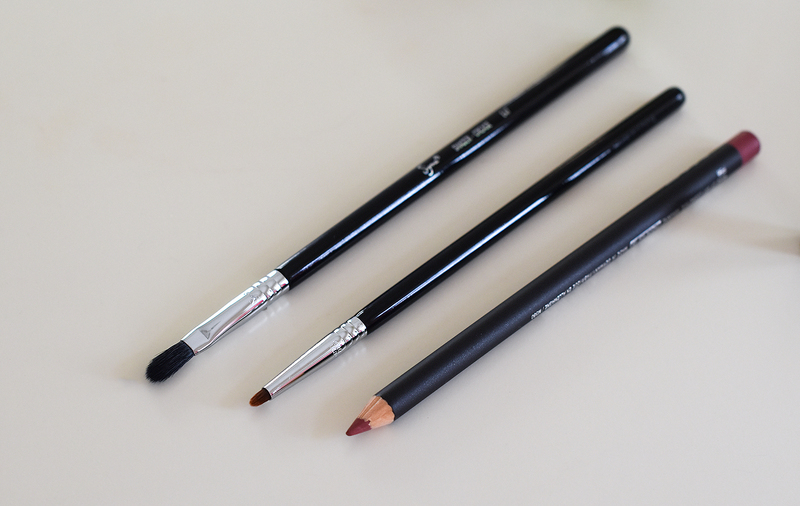 I bought this Sigma Pin-Point Concealer F68 brush and also, Sigma Shader-Crease E47 brush. This is my first Sigma brush purchase and I can't wait to see how they will work for me. I was not sure I would like this MAC Lip Pencil, when I was ordering it online but it's actually a very nice pencil __ it's smooth, easy to apply and doesn't get messy after few hours. I bought it in a beautiful neautral shade and it looks perfect with alsmot every lipstick I have. 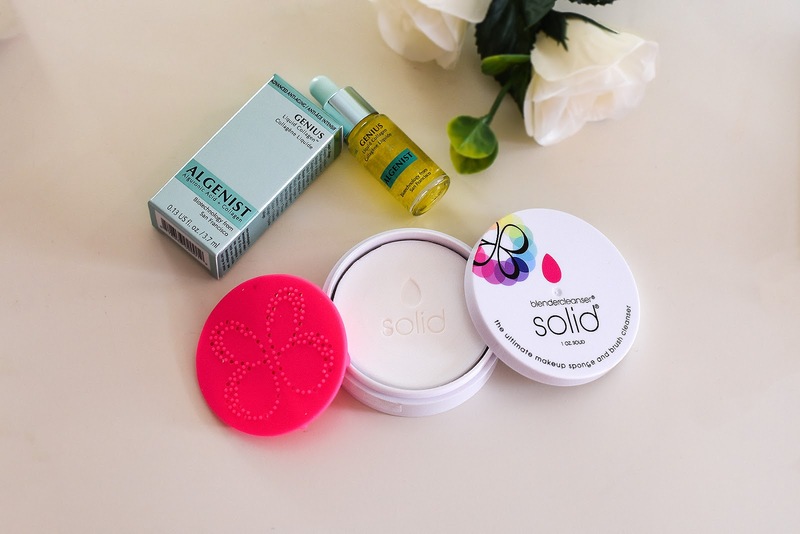 This is my first Makeup Sponge and Brush Cleanser and I'm very excited to see how it will clean my makeup brushes. Same thing I can say about this Liquid Collagen, I've never used it and I don't really know what to expect but I hope, it will work great for my dry, sensitive skin. I got Korres travel size skincare products as gifts: Greek Yoghurt Foaming Cream Cleanser for all skin type, Wild Rose Advanced Brightening Sleeping Facial and Greek Yoghurt Smoothie Priming Moisturizer. 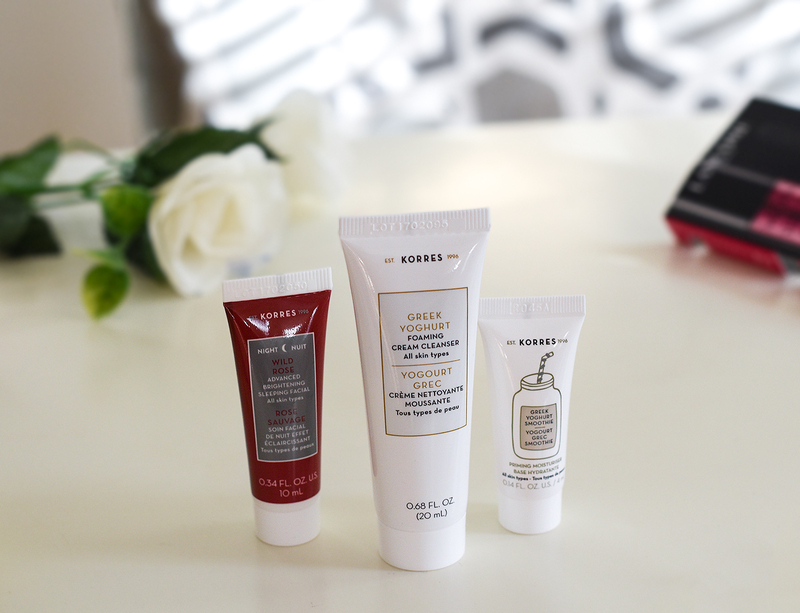 Korres Greek Yoghurt Foaming Cream Cleanser for all skin type, Wild Rose Advanced Brightening Sleeping Facial and Greek Yoghurt Smoothie Priming Moisturizer. Let me know, which product review you would love to see on the blog. The pink lipstick color is so pretty! I really like the shade of that lip liner! Love that Burberry color! I am a big fab of Algenist so I would love to find out more about this serum. I will definitely let you know how it works for me, Kathrine. I know, you love Burberry products, Shireen. I willl sure do the reviews. I love the shade of that lipstick, it's so pretty! I am a big fan of it. Amazing products. 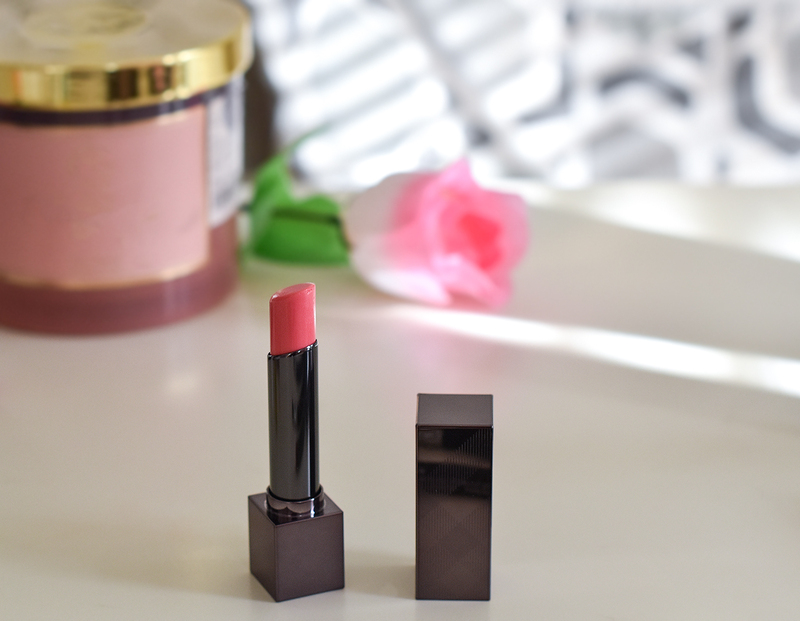 That Burberry lipstick is such a gorgeous everyday shade! I am such a makeup freak and get very excited from posts like this, loving the pink color from the Burberry lipstick! That Burberry lipstick shade is so pretty!! that pink lipstick - omg, it's so beautiful!!! Well I've officially added like 3 of these items to my shopping list. Thank you for sharing! Love the Korres range so much! That brush cleanser sounds great, let us know how you like it. I’ve been using dish soap and olive oil for a few years now, I’m open to trying something that’s actually formulated for cleaning brushes. Have a great week, beauty! These pieces are absolutely gorgeous, Vanessa! I used to be one who loved statement jewelry, but as I’ve gotten older, though I still love them, it’s piecws like these I tend to reach for the most! Thanks for sharing and I hope you’re having a wonderful week so far! Awesome buys! Thanks so much for sharing! SLAY GIRL!! Check out my new post too. Oh I would be curious to see how effective the Korres brightening serum is, and that lipstick shade looks nice, I may check it out I have been wearing more for vlogging. Great picks, thanks for sharing. Some of the brands I never used but I hear a lot of great things. Would love to know about the shaper brush and liquid collagen! Also, love the color of the sheer Burberry lipstick !